Here at TINYpulse, we help leaders get a pulse on what is going on in their organization day-to-day. Not only do we use our own product, and formulate best practices around how our own product should be used, we also encourage our customers to do the same. Every year, we are blown away by the positive outcomes that come out of using TINYpulse. This is why at the end of every calendar year, we collect and tabulate a variety of data points to decipher which organizations went above and beyond when it comes to company wins, peer-to-peer recognition, and overall company happiness. This year, ZINC Financial, Inc. won the TINYaward for Employee Recognition. * ZINC Financial is a leading investment rehab lender, that helps investors leverage their capital to acquire and rehab properties for investment purposes. I had a chance to chat with some members of ZINC to pick their brains about what this award means to them, and how they celebrate these types of wins with their team. TINY: Congratulations on winning the TINY award for Employee Recognition! What does this award mean to you? ZINC: This is an enormous accomplishment for us! To be in such company as the Boston Red Sox (2017 TINYpulse award winner) speaks volumes towards our employee engagement efforts. TINY: Why is it important to recognize employees for their contributions and accomplishments? ZINC: It’s important on numerous levels - positive reinforcement incentivizes discretionary effort and decreases attrition. We also take pride in our high employee retention rates! TINY: Less than 1% of TINYpulse customers receive this award. What do you think led to your win? What is it about ZINC Financial, Inc. that encourages employee recognition? ZINC: We take all feedback, both positive and negative, into consideration and improve on our areas of opportunity. We also implement any applicable suggestions that may improve our atmosphere. In conjunction to the aforementioned, we also run other incentive programs that promote employee recognition and retention. Our employee’s voices matter and we want them to know that. TINY: What do you do to maintain that culture of recognition throughout the year? ZINC: We Chromecast our Cheers for Peers feed on multiple big screen TV’s around our office every day. This serves as a constant reminder of how much we appreciate each other. We also have offsite events during work hours, holiday parties, a fully stocked breakroom with free specialty coffee, money trees, and more. We are constantly looking for new ways to improve the culture and morale. TINY: Was there a particular Cheers that stood out in 2017 that you can share? ZINC: Several Cheers stood out in 2017, but our favorites are those that come from employees that don’t necessarily interact on a daily basis with the recipient. It’s easy to thank the person sitting next to you, but giving a shout out to a person on the complete opposite side of the office (both in geography and workflow) speaks volumes. TINY: How does recognition (and the “Cheers for Peers” feature) relate to your work values and culture at ZINC Financial, Inc.? ZINC: The culture of our office has grown to become a constant focal point and Cheers for Peers allows us to monitor the pulse of our culture real time. TINY: How did ZINC Financial, Inc.'s employees become so prolific at sending Cheers? Did it happen immediately? ZINC: Rolling out Cheers for Peers took a bit of time initially, but management pushed and incentivized employees to become users of the platform and it took off from there. TINY: Do you have any upcoming plans or initiatives that you hope will improve recognition in the future? ZINC: Yes! In the near future, we will be rolling out 360 reviews allowing for employees to survey their surrounding peers. We expect this will allow us to identify any pressing issues and resolve them promptly. TINY: Who are some of the Cheers Leaders within ZINC Financial, Inc.? 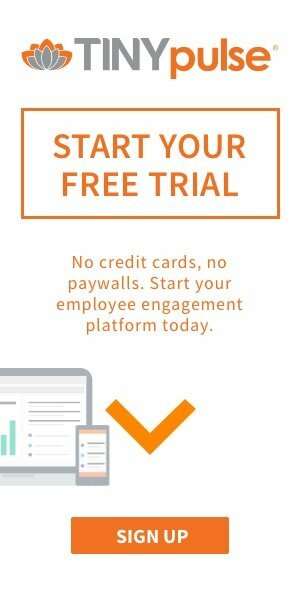 What can other employees learn from how they use the platform? ZINC: Jaime Harlan received 194 Cheers! We also had Brandon Perez who received 169 Cheers, Angelica Banegas had 166, and Diane Rocha with 161, respectively. All of our top recipients were also amongst the top sent for 2017. It’s simple - paying it forward isn’t just a term for the Starbucks drive- thru; these employees all gave Cheers and in turn received Cheers. TINY: In one sentence, can you give us your best advice for other companies looking to improve their employee happiness? ZINC: Celebrate your employees successes and allow them to celebrate each other publicly! *Employee Recognition Award recognizes organizations with the highest Cheers for Peers per capita for the year. Cheers for Peers is one of TINYpulse’s most popular features. It allows employees to send “Cheers” – messages that recognize and celebrate coworkers and their accomplishments – from anywhere. A full list of Happiest Company Award winners can be seen at TINYpulse’s awards page. Pray.Com, Leading The Way In Recognition, Feedback, And Employee Happiness. Sunny Nickel is the Social Media Marketing Strategist at TINYpulse. She is originally from San Diego, CA. Sunny is an avid podcast listener and loves to be outside, usually skiing or hiking around the PNW with her dog, Washcloth.